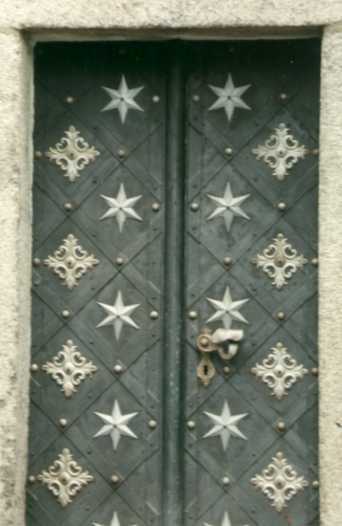 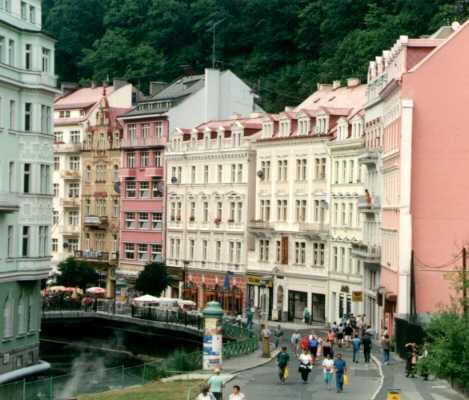 In Western Bohemia, on the banks of the river Tepla lies the spa town of Karlovy Vary (Karlsbad in German). 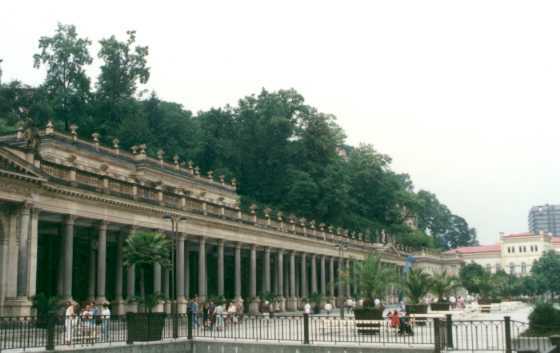 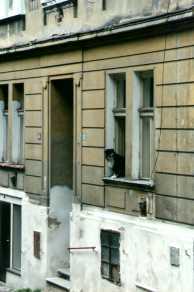 Below is a picture of the Colonades in Karlovy Vary. The general idea is to buy yourself a small 'becher' jug (right), fill it up with the theraputic waters (there are springs around the town centre) and then stroll around the colonades, sipping from your cup as you go. 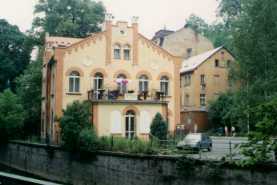 House facades in Karlovy Vary. A charming cafe further along the river. 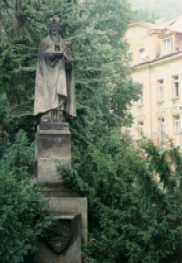 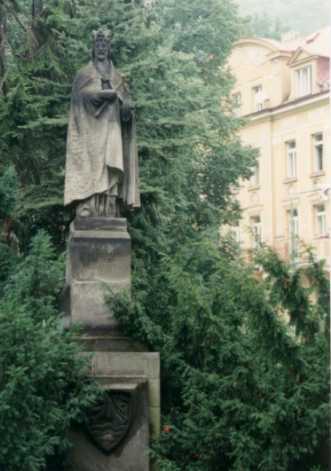 A statue of Bohemian King Charles IV who rumour has it discovered the Karlovy Vary springs whilst on a hunting trip, hence the town is named after him.